When we participate in a school building program, we create learning environments that will last for many decades. So a major principle of good science facilities planning is to avoid building for a single curricular model. Since continued change in educational trends is inevitable, any plans for science space should allow as much flexibility as possible in order to avoid the expense and considerable inconvenience of having to reconfigure the space at a later date. This chapter provides recommendations that should be considered when designing facilities for the high school. 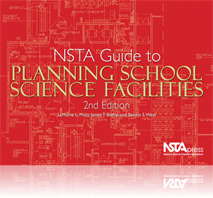 Whether you are planning a remodel or in the process of constructing a new science facility, this resource is a must. It offer practical information that will ensure you build the safest facility possible for your students.